The above ground pools are one of those life’s simple pleasures. Whether you have children or are living on your own, an above ground pool is a great way to make your summer cool and fun at the fraction of a cost. Of course, you can always go to a local pool and have a blast. But wouldn’t it be more comfortable to have your own pool and invite whoever you want, whenever you want? Plus, an above ground pool will last for seasons, so your money will be well spent. Well, we’re here to help you choose the best above ground pool in 2019 for your landscape (and your needs) so that your every summer day is filled with laughter, joy, and fun! Now, let’s jump into the pool of information, tips, and reviews so you can find the best fit! Learning about different types of above ground pools will help you get a general sense of what pool you’d like to have installed in your backyard. This type of an above ground pool is very popular because of a low price. It’s a good choice for anyone who wants to enjoy cool water all summer long but without spending much money. Most inflatable pools offer a decent quality and usually last for a couple of seasons; that is if they’re well maintained. Since it’s very easy to accidentally make a hole in inflatable pools, you don’t want to get any sharp objects close to the pool. Easy and quick setup is another advantage of inflatable pools. Best inflatable above ground pools come from Intex and Bestway hence opting for these brands seem like a good idea. However, inflatable pools cannot be left outside in the cold weather and have to be stored away at the end of summer. Another common type of above ground pools is the one with a steel frame. 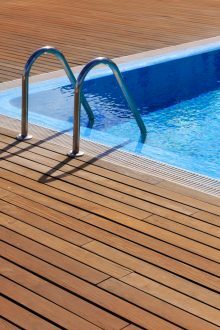 This type of pool offers sturdiness and durability, although it can corrode when constantly abused by the sunlight and saltwater. A steel frame will keep the pool from collapsing, providing you with peace of mind for years to come. Naturally, steel pools are more expensive than inflatable ones. Compared to steel, the resin is more durable as it can withstand the sunlight and water quite well. A resin pool won’t rust or corrode like steel will. However, this type is more expensive and not everyone would like to invest in it. But if you’d like to have a pool that will last for 10 to 15 years, perhaps you don’t mind the extra cost of a resin pool. As the name implies, a hybrid pool is made of both steel and resin parts, bringing you the best of both worlds. A hybrid pool is built to last so investing in it could be a great move. Before you opt for a certain model though, make sure to read the specs and see which parts of a pool are made of steel and which ones are made of resin. When it comes to buying an above ground pool, it’s crucial to take the size of your backyard into account along with permanent objects installed and spaces between the structures. You also need to check your local pool laws in order to know which type of a pool you can install. Once you find out all this, you will be able to determine how large your pool can be. The next thing to think about is where you plan to install the pool. This should not be so hard when you check the regulations and determine the size. However, you should factor in the ground – whether it needs to be leveled or prepared for the pool installation. And when you solve the first two riddles, you can finally be able to choose the shape of your pool. Will it be round, oval, or rectangular? The next thing to consider is how deep the pool you want. If you have young children, perhaps you would want to buy a pool with low walls. On the other hand, if you and your friends will be using the pool, you can opt for the tallest one. It all comes down to your needs and preferences. Your pool should be safe, and this includes a sturdy construction and proper installation. 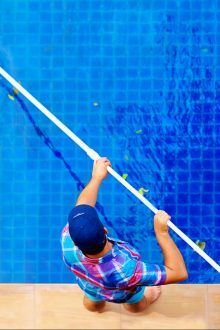 If you’re not particularly handy, it’s best to call a professional to have your pool installed. Next, if you’re buying a kids pool, be sure to check how much gallons of water it holds and if it’s age appropriate for your little ones. There are many add-on items that you can buy additionally. However, one of the most important items to buy is ladders. Some above ground pools come with flimsy ladders that naturally don’t seem very reliable. If that’s the case, it’s best to invest in high-quality and sturdy ladders that your family and friends will be able to use with confidence. The above ground pools come in a wide range of shapes, sizes, and materials hence some of them may be simple to install while others may require calling a professional. This is yet another point to have in mind when choosing that very best above ground pool for you. Here we have the Martinique steel frame pool – the best rated above ground pool that is perfect for the whole family. This pool is built to last and comes with a 25-year Limited Warranty. Durable 7-inch top rails and uprights create a sturdy frame that will hold up to the water and the elements. 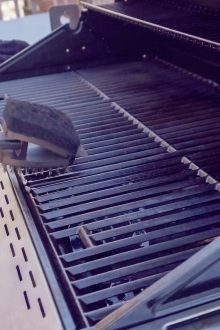 Steel components are additionally treated with the Star Galvin process which is a special formula used to coat the steel parts so as to increase their resistance to corrosion and prevent chipping and fading. Deluxe resin seat covers add one more layer of strength while also enhancing the look of Martinique and making it a modern addition to any landscape. The pool comes with A-frame ladder and sand filter with 1 HP pump so you don’t have to buy any of these add-on items separately. Installation may be easy for experienced do-it-yourselfers but for average Joe, it is not. So, you should have an extra pair of hands to help you with installation or leave it to a professional. This pool provides a great value for the money, but it is slightly on a higher end. If you want to have a fun time with your friends and family that could be possible with the Summer Waves Elite pool. This pool is round and spacious enough to accommodate 10 people so you can play volleyball in water, or whatever else you may like. Made of the metal frame, the Elite pool is sturdy and also rust resistant. In addition, the walls are durable as they consist of heavy gauge PVC material and triple layer polyester mesh. 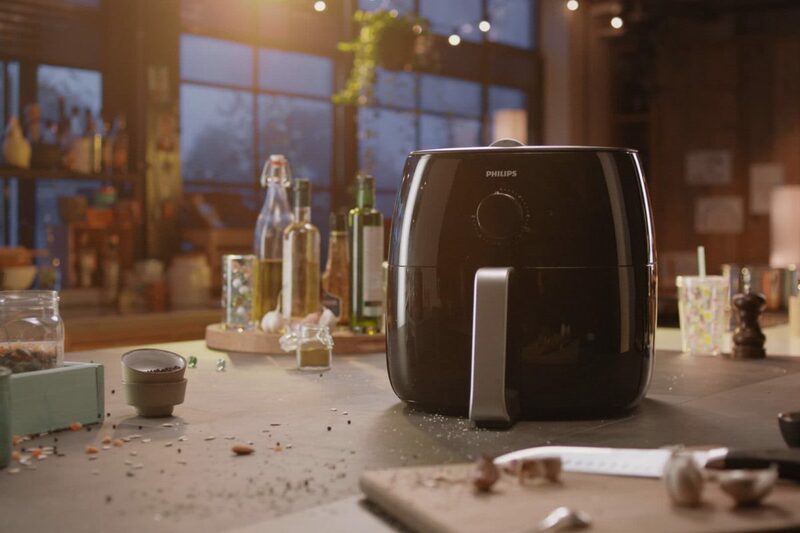 What you’ll appreciate about this model is its simple yet beautiful design. It’s sure to add a nice touch to your backyard. The Elite pool comes with a complete accessory kit, making it a good investment. You get a filter pump, skimmer, ground cloth, ladders, pool cover, and deluxe maintenance kit. So, this pool has everything you need for a cool and fun summer! 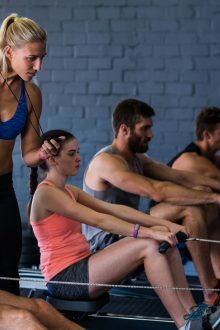 However, the setup is time-consuming and exhausting, so consider calling friends to give you a hand. The Heritage TA above ground pool is a great choice for those who’d want a versatile pool – suitable for both swimming and playing with your kids. The next great thing about this model is the sturdy frame. 7-inch ledges, 6-inch vertical supports, rails, and 52-inch pool wall are all made of galvanized steel. There are also 7-inch top covers made of resin. All this means that the pool is durable and made to last, while a 25-year warranty further confirms that. The Heritage TA pool features a swirl print bottom and all-weather overlap liner for a stylish look. The pool comes with ladders, sand filter, and 1hp motor, but the ladders feel weak so you would probably want to buy new ones. Also, taking the shape of a pool into account, you can probably assume that installation is not easy. Intex has been known as one of the best companies that make affordable but good-quality above ground pools. The model that we have here is the metal frame pool set. Measuring 15 feet x 48 inches, this pool is quite spacious. 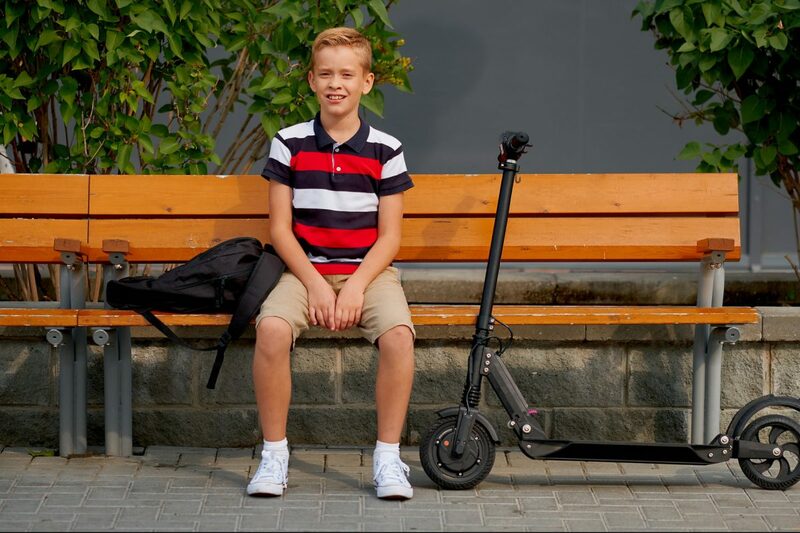 Thanks to that, this model is best for families with older kids. You can have a blast on weekends, and when your kids are at school, you can jump into the pool and have some time for yourself. The sidewalls are triple strong and reinforced with a band so that the pool stays in place and withstand the water pressure. In addition, dual suction outlet fittings will give you cleaner water because the water won’t stagnate (and we all know how vital this is to have healthy and safe water). Once the summer is over, it’s time to pack up the pool and store it. But, of course, to do that, first, the water has to be drained away. Speaking of which, no worries about that. You can attach a drain plug to a garden hose and drain the water away safely. Setup is really simple, and you can follow the instructions on the DVD. 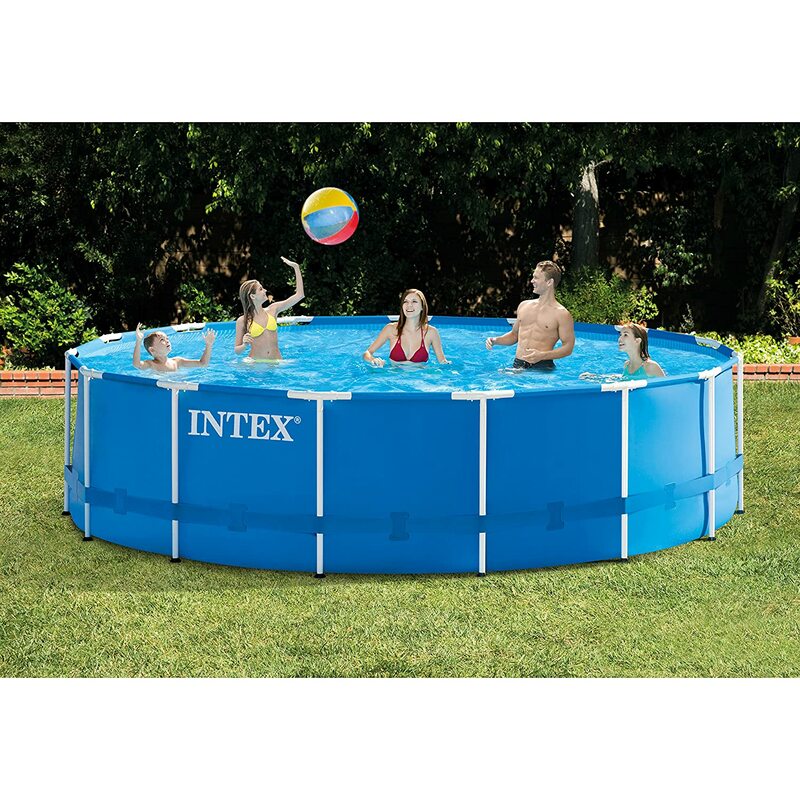 This Intex pool provides a good value for the money as it will last for a few seasons but it also comes with the Krystal clear cartridge filter pump 1, 000 GPH, ladders, ground cloth, and debris cover. However, you may have to buy another pump if you notice that this one doesn’t filter the water well (this will depend on the quality of your water and how clean your pool is). 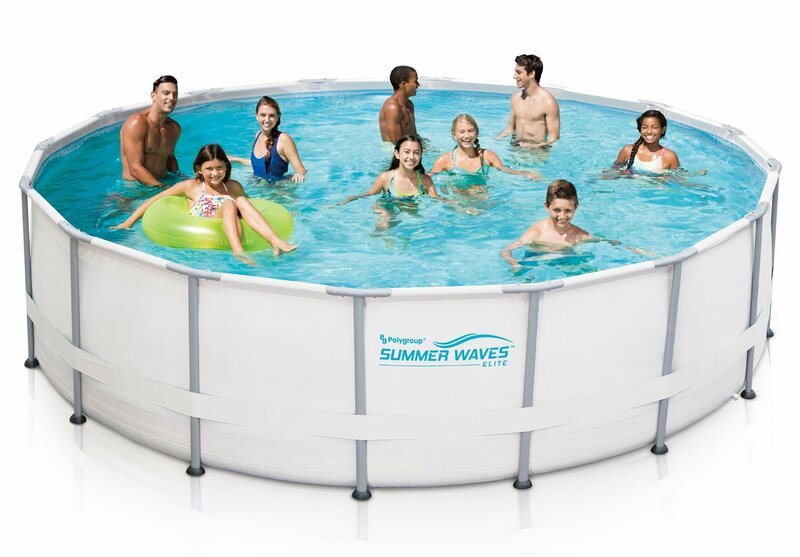 The Summer Waves Elite is a frame pool set, designed to add a stylish touch to your landscape. Measuring 22 feet x 52 inches, this pool is pretty large. If you love organizing casual sit-ups, dinner parties, and BBQs for your friends and family, this pool could take your gatherings to a whole another level. It’s also perfect for swimming, chilling, playing with kids, reading your favorite book, or whatever else you’d like to do. The pool comes in two colors – grey and dark. But, without a doubt, dark color is much more attention-grabbing, while grey easily blends into the surroundings. 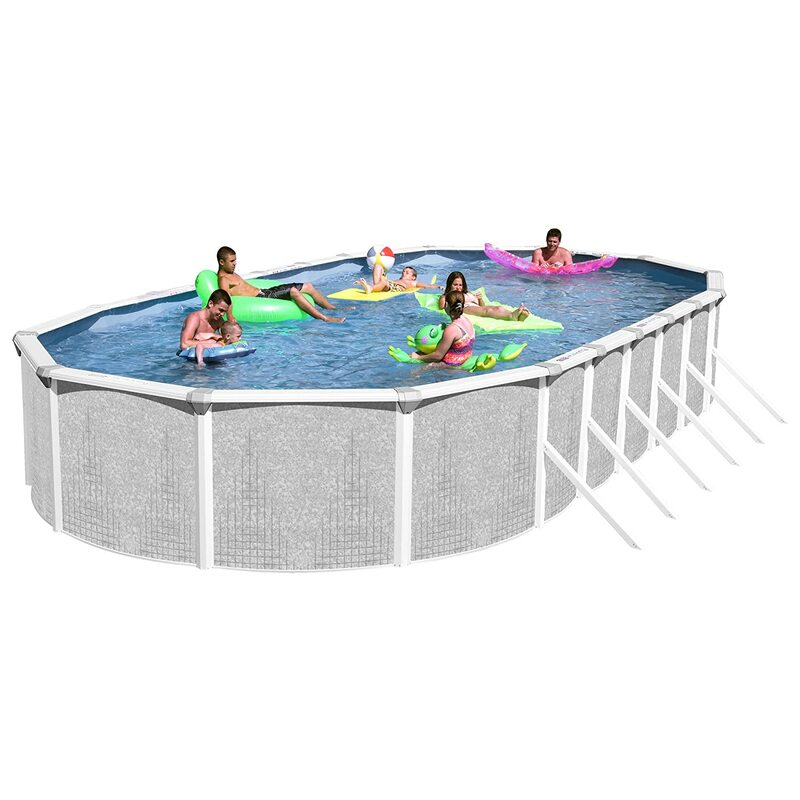 The pool is supported by a durable metal frame that will stand up to rigorous use, water pressure and the sunlight. The frame and pool are easy to install though you could use some help. This pool is a wise investment as it includes pool cover, ladders, ground cloth, and deluxe maintenance kit. It also comes with a CP2000 C filter pump, but you’ll probably have to buy a new one right away as this one is of a poor quality. If you’d like to surprise your kids with an above ground pool, take a look at this model. 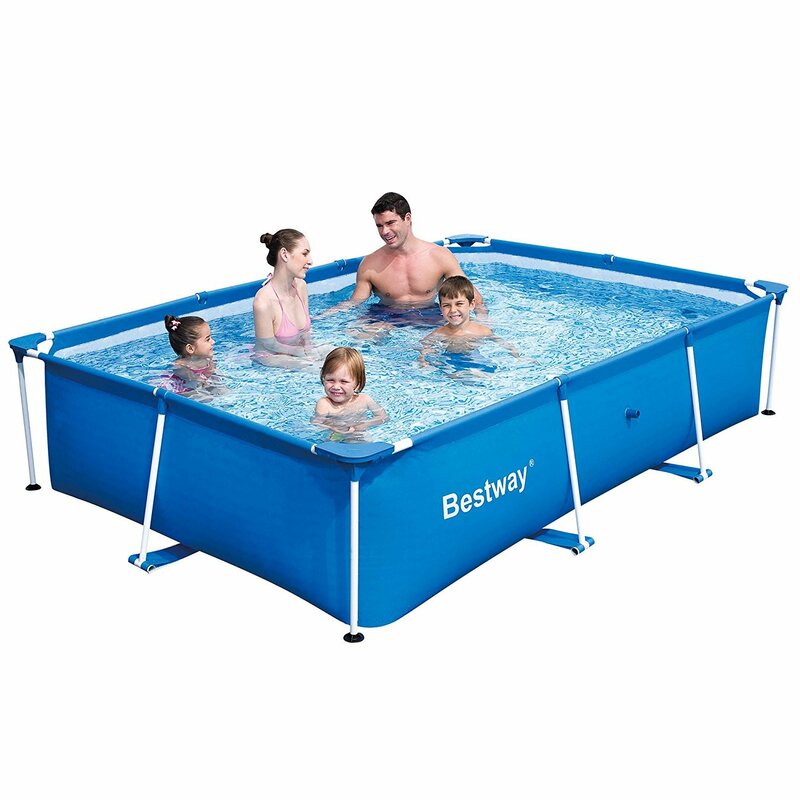 The Bestway Kids Pool is easy to install and comes at a great price. Moreover, this is one of the best rectangular above ground pools that provide a plenty of space for enjoying. Your kids can swim, play, dance, or relax while you’re drinking a lemonade and watch your kids enjoy their pool. Or you can join your kids and have a blast. 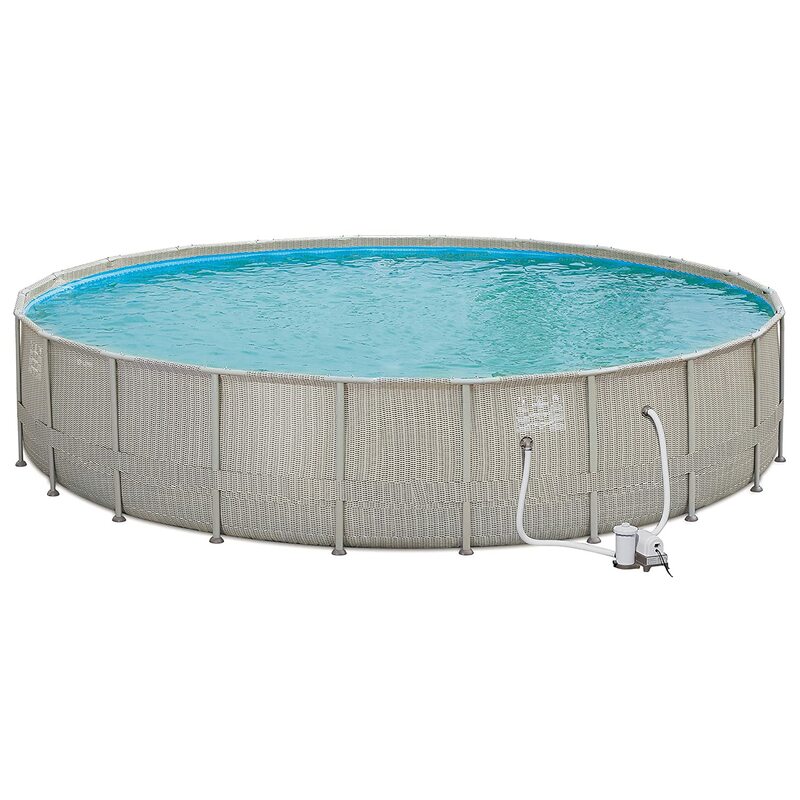 Heavy-duty PVC and polyester sidewalls and a sturdy frame make this pool safe and reliable for your kids. The pool doesn’t come with a pump, but we suggest you buy one – as it will keep the water clean and safe for your kids. Here we have another Intex model, but this one is slightly smaller. 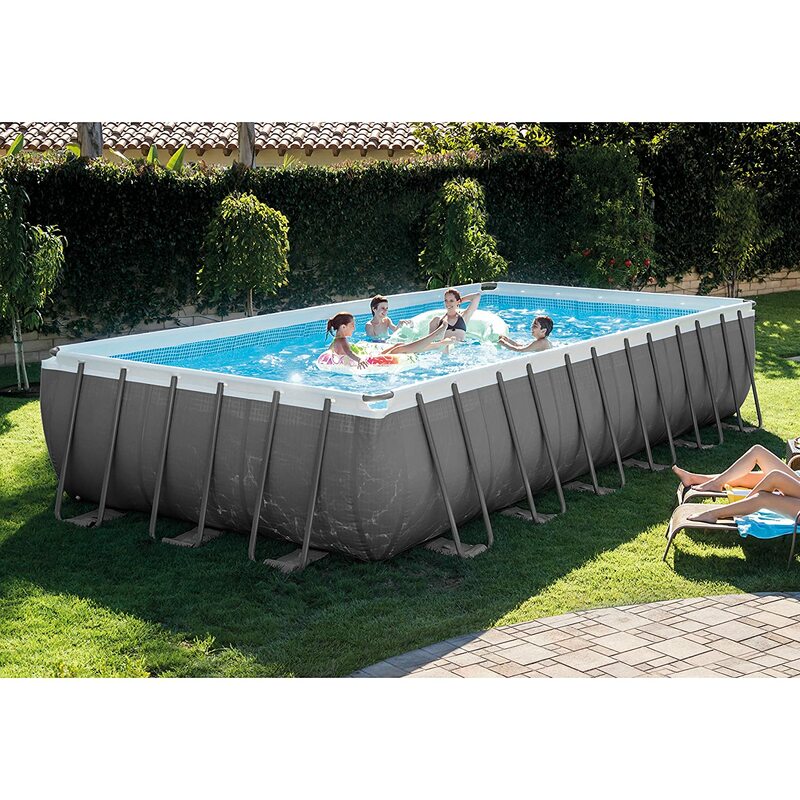 Measuring 12 feet x 30 inches, this metal frame pool set could be just what your teens need! No doubt that they will have a great time playing games in water or simply relaxing in this pool. Super-strong laminated PVC sidewalls, metal frame, and a band make the pool stable and reliable. There is also the ground fault circuit interrupter that will increase your safety. It’s meant to turn off the pump in case the electrical current is splashed with water. Just like previous Intex model, this one also features new dual suction outlet fittings for better water circulation and water hygiene. The installation is simple and quick, but you’ll have to level the ground first. The drain plug connects to a garden hose so you can conveniently empty the pool at the end of the summer. This model comes with the Krystal clear cartridge filter pump 530 gph with a 1-year warranty; however, the pump doesn’t seem to be powerful enough to clear the water. The Intex Ultra Frame Pool is the best above ground pool for those looking for simplicity and convenience. A rectangular shape and spacious design make this pool perfect for swimming, playing volleyball with your friends, or floating on your back. And with the new ladders, you can easily and safely enter and exit the pool. What makes this pool one of the best in this price range is the high-quality frame. Made to last and withstand water pressure and the elements, the frame will provide the support you need. The steel frame is also powder coated so it won’t rust. Thanks to the Easy lock system, the frame parts will easily fall into place. No additional tools are required, making this pool one of the easiest to set up. Dual suction outlet fittings enhance the water quality while a sand filter pump keeps water safe and transparent. But, keep in mind that a sand filter requires regular backwashing and maintenance in order to work properly. Debris cover, ground cloth, and deluxe maintenance kit are also included. This last model from Intex happens to be the best inflatable pool. If you want a spot to cool off and relax in your own backyard, this could be it! The selling point of this pool is a simple and quick installation. Since this is an inflatable pool, a top ring needs to be inflated – but that’s it. When you do that, simply fill the pool with water (making sure you use maximum 80% of pool capacity), and get ready to step into a cool oasis. The only thing you need to do before installation is to prepare the ground. This model also features laminated PVC sidewalls and dual suction outlet fittings to provide you with support and clean water. Moreover, it also comes with the Ground Fault Interrupter, for added safety. 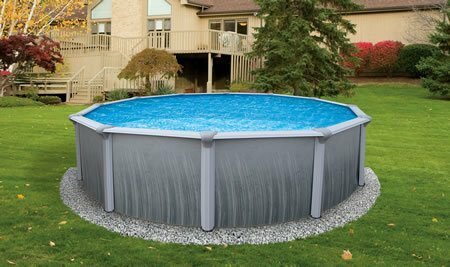 The pool comes with a convenient drain plug, Krystal Clear Cartridge Filter pump, 1,500 gph), ladders, ground cloth, and debris Cover having all you need to enjoy your summer. 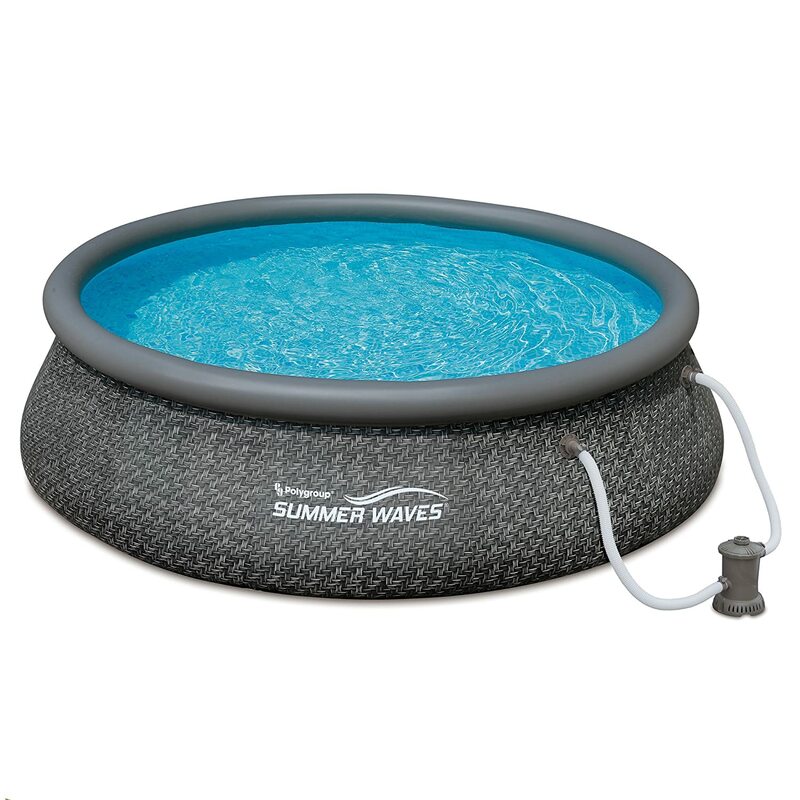 The Summer Waves Quick Set is one of the best cheap above ground pools out there. No doubt that this model stands out from the crowd with its modern and fresh design. It will be a nice addition to your landscape! Since this is a quick set, it means the installation is simple. 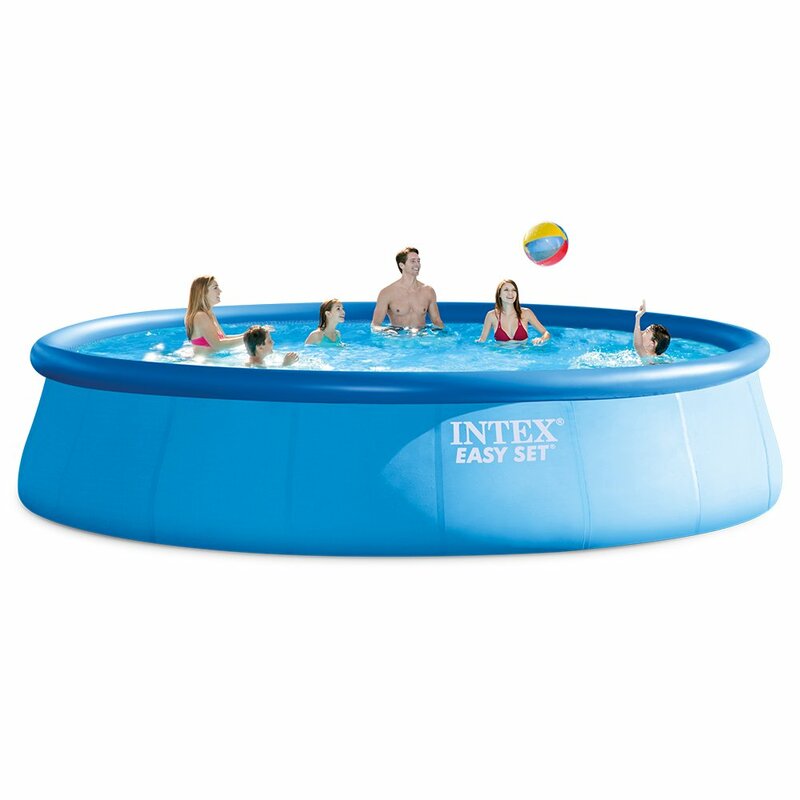 This is an inflatable pool with a top ring, just like the Intex model we’ve previously described. Not only the pool is easy on the eyes, but it’s also built to support your summer adventures. The triple layer PVC and polyester mesh sidewalls are durable and reliable. You get the filter pump and a drain plug that connects to a garden hose which makes this pool a wise investment. However, be sure to clean the filter every day or so, or it may not clean the water. Measuring only 12 feet x 36 inches, the pool can accommodate one or maybe two people, but that’s it. Thank you for staying with us to the end of this article – appreciated. 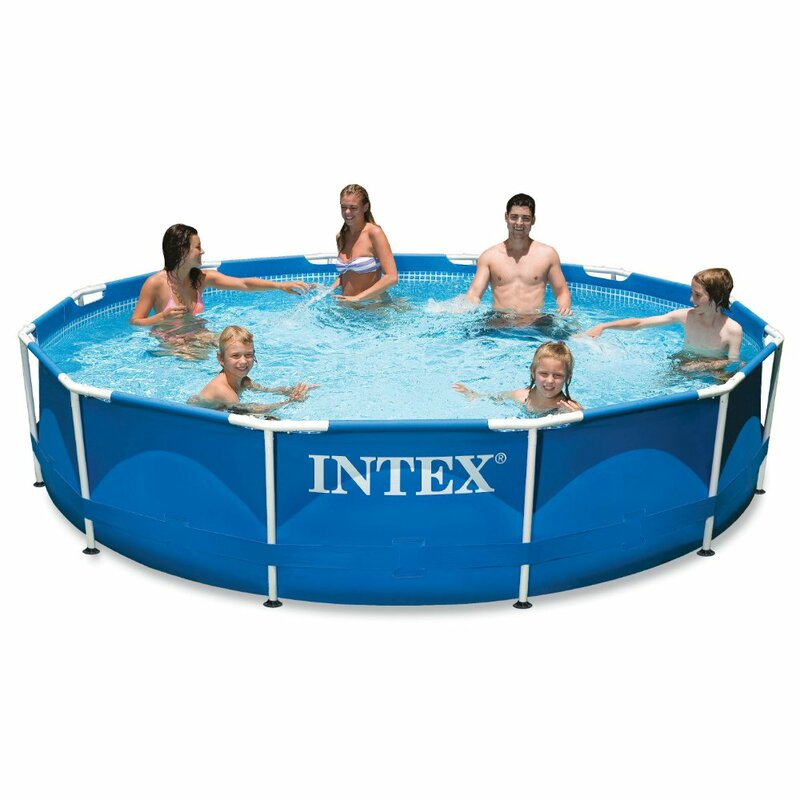 Now it’s time to announce our fave, and that would be the Intex 15ft X 48in Metal Frame Pool Set. This pool is perfect for inviting your friends and family and having a fun time with them! 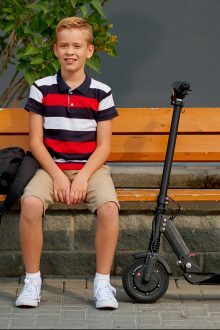 It’s durable and looks stylish, while it’s also reasonably priced. 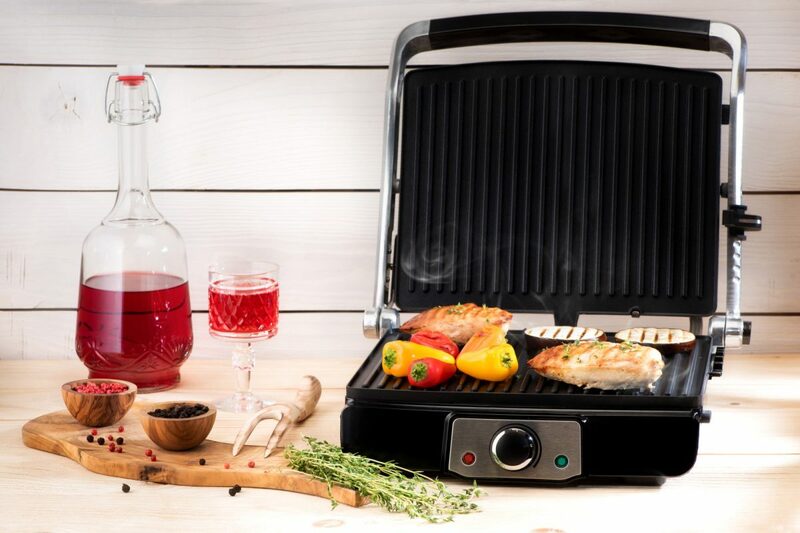 It has all you need to make your summer memorable!